The Anti-Fatigue Solution: Eliminate all signs of fatigue, stress, and pollution. Beauty Result: Deeply revitalized, skin regains its optimal radiance as if fatigue had never existed. Your features appear relaxed, radiant, and youthful. 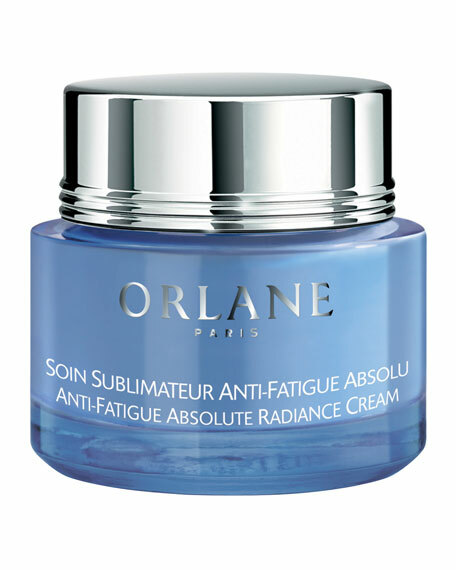 Action: The Anti-Fatigue Absolute Radiance Cream contains an exclusive complex which thoroughly eliminates all signs of fatigue, stress, and pollution. Intensely detoxifies. Silk Tea Extract inhibits protein glycation and neutralizes free radicals. Revitalizes and protects against pollutants. Contains Shea Butter Seed extract which helps to neutralize pollutants and protect the skin. Fights against stress-induced aging, preserving telomeres which safeguard a cell's life span. Restores all of the skin's energy instantly via our Energesium complex, and long term by our B21 Energetic Complex. Apply morning and night. For all skin types. Lancome Renergie Lift Multi-Action Night Cream, 2.6 oz. An innovative new formula that addresses deep lines and wrinkles and takes into account damage from environmental and biological trauma.